Colorbond steel is an Australian product created by Bluescope steel. It has a zinc & aluminium coating which is then covered in polyester and given a baked-on paint that doesn’t chip or crack and it comes in a wide variety of colours. So it’s not just a power-coated metal that’s often the case with imported products. Even more importantly, Colorbond roofing has been tested in Australian conditions for over 45 years, so you can be sure that it is going to protect your home. 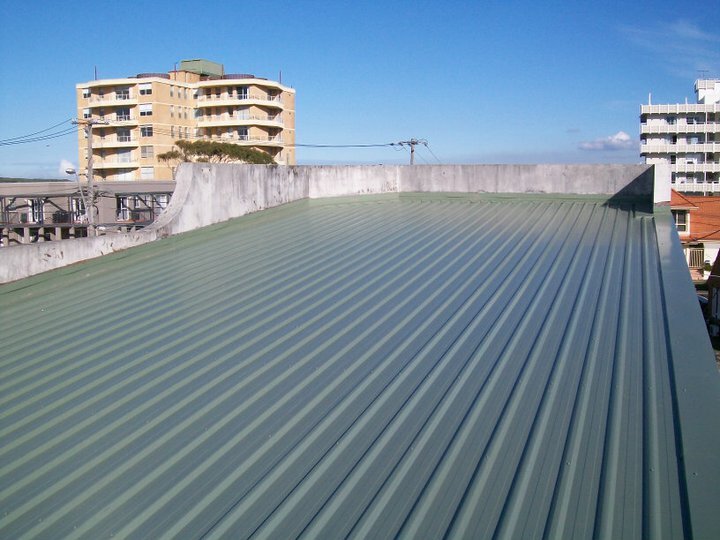 You won’t find a much tougher, more durable roofing material than Colorbond and along with the other benefits covered on our metal roofing page, this type of roof is an excellent solution for Australian homes. As well as it being a superior product, another reason why we like using Colorbond steel is that it’s an Australian product, manufactured in Australia and we should be using it to support our economy and Aussie jobs. As with any roofing material, there are options and installation requirements that you should find out about. We’re very happy to take you through them, so feel free to call us on 0404 022 061 or send us an email to info@allroofingservices.com.au.